On Friday the 22nd of February, Timberlink welcomed Minister Sarah Courtney to its Bell Bay mill to see firsthand the progress of Timberlink’s generational $100m mill upgrade program, which includes $12m in works for its Bell Bay facility. 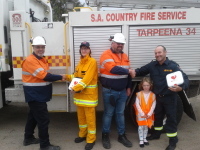 Timberlink is so delighted to be able to donate 2 defibrillators to the CFS’s at Tarpeena and Kalangadoo with the units to be put on trucks at both sites. WIth many Timberlink employees voluteering at the the CFS's we please to be able to help this special connection to local community in such a meaningful way. Timberlink is delighted to announce the appointment of Jason Wilson to the newly created position of Chief Operations Officer (COO) to support its growth and development strategy. 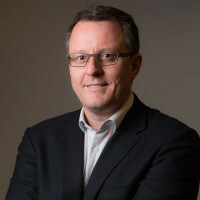 In addition, we are delighted to welcome Duncan Mayes to the Timberlink team, taking up the position of EGM Innovation and Emerging Business. Minister for Agriculture and Water Resources David Littleproud visited Bell Bay with Kevin Hogan MP on Friday the 5th of October. The MPs came to Bell Bay mill to see firsthand how further investments could help generate jobs and growth in Northern Tasmania. Timberlink has approved a $100 million upgrade program to its Australian sawmills. This generational investment will see the total processing capacity of the Australasian sawmilling company increase by over 15%. The investment will secure over 1,350 direct and indirect jobs in regional Australia for years to come while supporting the residential housing sector with increased timber supply. Timberlink has launched its “Made of Tasmania” advertising campaign to emphasize Timberlink Australia’s link to the Tasmanian community, economy and environment. The print, radio, outdoor media and online advertising campaign highlights the positive role that Timberlink’s sustainably produced timber has in the Tasmanian community.